With most sales transactions being paid for with credit and debit cards today, Payment Terminal are a convenient, accurate, and secure way to process payments. Depending on the model and your payment service provider, you can easily process cards independently or alongside your POS system. With hardware that is PCI PED compliant, you also meet all PCI legal requirements while protecting your customer's sensitive personal information. The DynaPro is a secure PIN-entry device. It protects the cardholder data whether it is read using the MagneSafe Secure Card Reader Authenticator (SCRA), contact or contactless smart card reader. It is the most comprehensive, end-to-end security solution available. Prevent card data breaches without compromising the speed and convenience of your cardholders' financial transactions with DynaPro. The iWL series from Ingenico is the smallest, lightest, most convenient payment device range on the market. From pay-at-table to taking payments on the move, an iWL terminal is compact and easy to handle. Its white back-lit display and large back-lit keys allow easy reading and use in any environment. 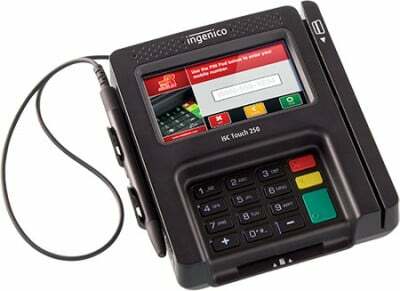 Ingenico's iWL series is the smallest, lightest, most convenient payment device on the market. With integrated multimedia-enabled Telium 2 architecture and a wealth of wireless connectivity, the iWL series accepts all existing forms of payment, including contactless, EMV, and mobile (NFC). 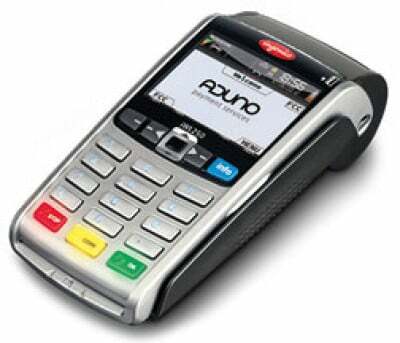 The ID TECH BTPay 200 allows merchants to provide their customers with the convenience of a mobile method of payment. With the capability to read MagStripe cards and smart cards, merchants can take a variety of payment methods and save money by avoiding costly card-not-present fees. With the ID TECH BTPay 200, merchants can accept card payments wherever they go. Stands from ENS provide a secure method to help protect your payment device from the rigors of everyday use. When you need to put a move on it, ENS quality and attention to detail make all the difference. Without any metal-to-metal contact on moving surfaces, ENS stands offer reliably smooth operation. Designed specifically for mobility, the iWL 255 provides extended battery life, in a lightweight, robust, compact-sized design and features a wide backlit keypad for outstanding display readability inside or outdoors. The iWL 255 30-lines-per-second printer is one of the fastest on the market, for on-the-spot checkout efficiency. Designed specifically for mobility, the iWL 258 provide extended battery life, in a lightweight, robust, compact-sized design and feature a wide backlit keypad for outstanding display readability inside or outdoors. 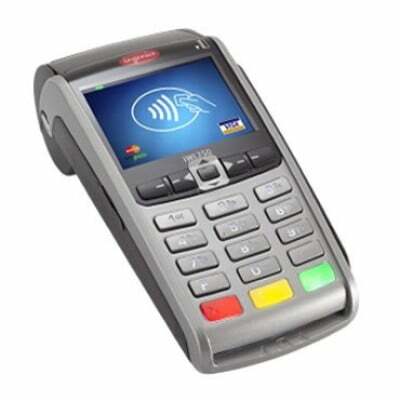 The iWL 258 accept EMV chip & PIN, magstripe and NFC/contactless, as well as enable new NFC couponing and e-wallets. The SmartPIN L100's robust, vandal resistant design features a molded body, a stainless steel cover, and metal engraved keys, making the SmartPIN L100 ideal for unattended environments. For further security, tamper switches and removal detection sensors protect the PIN pad from malicious activity. The SmartPIN L100 can also be used in outdoor environments with waterproof keys and a built-in gasket to withstand splashed, spilled, and direct liquid spray. ID TECH's ViVOpay 4880 communicates to the host via USB and is supported with a SDK, to allow for simple and easy integration. The USB port is also used for charging. The ViVOpay 4880's efficient design is perfect for countertop use, when used with optional stand. The e355"s modular design enables endless functionality with stands, frames, and other devices allowing merchants to scale as business needs change and also providing and ideal choice for merchants on the go. The programmable e355 is compatible with current- and next-generation smart devices across multiple operating systems.